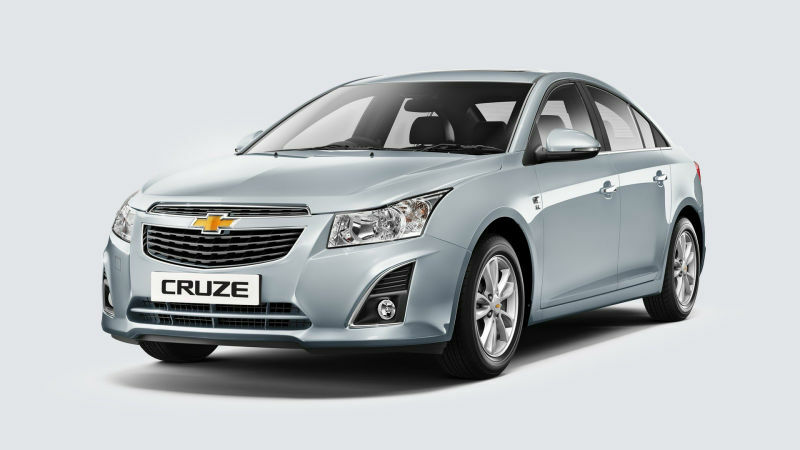 We recently informed that GM India launched the updated Chevrolet Cruze priced between Rs 14.37 lakh and 16.99 lakh (ex-showroom, Mumbai). Offering the perfect blend of power, refinement and efficiency, the updated Chevrolet Cruze further strengthen its position in the marketplace with improved fuel economy for the six-speed automatic transmission variant. 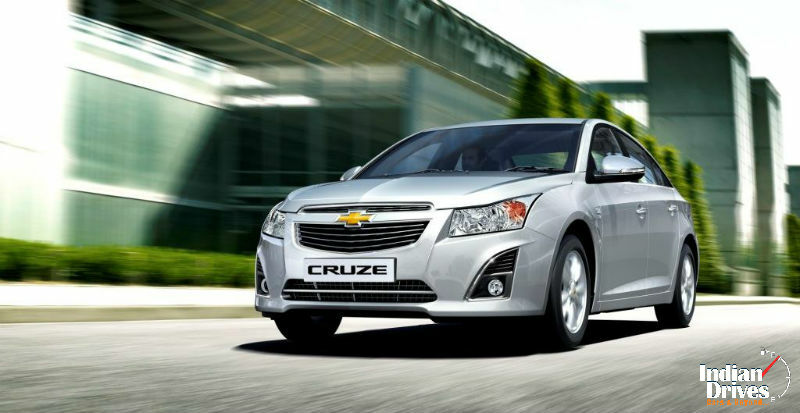 The updated 2014 Chevrolet Cruze comes with both a 6-speed manual and a 6-speed automatic transmission mated to the turbocharged 2.0-litre VCDi engine. The Chevrolet Cruze delivers 166 PS of undulated power on tap with 380 Nm of torque making the driving experience simply exhilarating. The all-new Gen2, 6-Speed Automatic Transmission sets a new benchmark in the segment with improved fuel economy of 14.81 kmpl as per ARAI. The manual variants return a fuel efficiency of 17.3 kmpl. Seamless gear changes mean superior acceleration off the block and instant torque delivery for effortless overtaking. The Electronic Automatic Transmission Control System offers a clutch-to-clutch shift operation for precision gear shifting. A widespread gear ratio ensures quicker getaways and the sixth gear ensures increased fuel economy at cruising speeds. A gas-charged McPherson strut type front suspension, U-shaped rear suspension with torsion beams and gas-charged shock absorber ensure a smooth and comfortable ride. A hydraulic power rack-and-pinion power steering is tuned for more responsiveness with quick-reacting ratio. A four-wheel disc brake set-up provides excellent stopping and stable braking capability. The updated 2014 Chevrolet Cruze comes with turn indicators on outside rear view mirrors as standard. 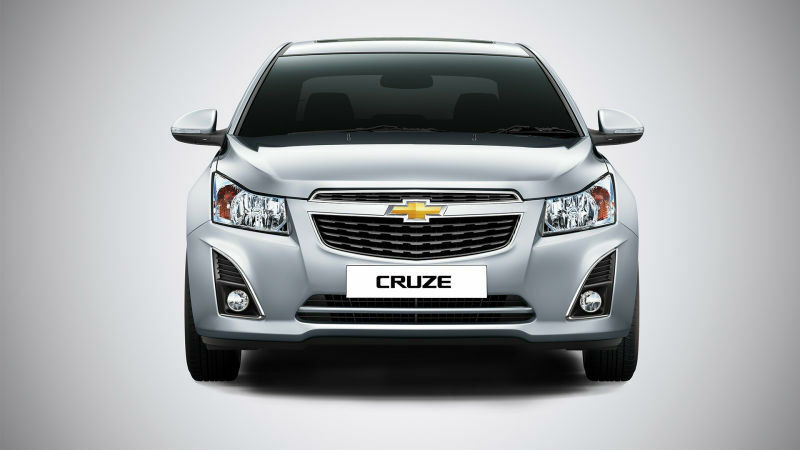 The Cruze embodies a new dual-port front grille with gold bowtie, newly designed front and rear bumpers, new dual bezel design headlamps, new alloy wheels and new fog lamps with chrome surround across all trim levels. The new Cruze with its refreshed styling chisels a lasting impression with its bold dynamism of form, aggressive stance, muscular shoulders and taut styling crease lines. The jewel-effect headlamps add striking character to the sporty front end. Muscular sides with chrome door handles, chrome applique on the trunk lid and mesmerizing twin-port jewel effect tail lights highlight the design enchantment. The new Chevrolet Cruze comes with thoughtfully researched comfort features like a six-way power adjustable driver’s seat, dead pedal, premium speakers, power-operated windows with the express-up & down feature on the driver’s window, Bluetooth music streaming and pinch guard protection for improved customer delight. The ice-blue ambient lighting enhances this, as do the classy, elegant and comfortable jet black leather interiors. An advanced integrated centre stack with graphic infotainment display, radio and HVAC controls add to the premium feel of the car. A thicker, ergonomic rim design helps maneuver with more ease with the three-spoke steering wheel. A sleek, no-wire experience for the car audio enthusiast is standard. Push button start, cruise control, rain-sensing wipers and an auto-dimming inside rear view mirror make the Chevrolet Cruze a dream to drive. Steering wheel-mounted cruise control automatically controls the speed for a pleasurable highway drive. The three-gauge instrument cluster has sophisticated ice-blue dash illumination and a centre-positioned information display provides every little detail required. Equipped with dual front airbags and two side airbags, the new Cruze enhances safety in case of a high-impact collision. The strong and rigid “safety cage” has reinforced pillars with tubular bars, which provide optimum protection to passengers. The front and rear crumple zone maximizes safety by absorbing the impact energy in a collision. The anti-lock braking system (ABS) with electronic sensors provides excellent braking efficiency and shorter stopping distances, which ensures better steering control, especially on slippery surfaces. Passive Entry Passive Start (PEPS) automatically controls the central locking system, anti-theft alarm and ignition. The pedestrian protection design of the hood and related hinge structures reduce the chance of pedestrian injury. With a child seat provision specifically designed in the rear seating area, the new Cruze offers protection for children at all times. They can be secured in any of the three rear seats.